Robbie Aquilina has studied and spoken about A Course in Miracles since it started. 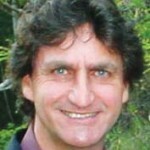 He presents the introductory sessions and speaks at A Course in Miracles workshops. Robbie is passionate with the teachings of Kenneth Wapnick and has been to the Foundation for A Course in Miracles in USA. Participants like his gentle and loving approach towards a better understanding of the material.